But there's another possible reason. 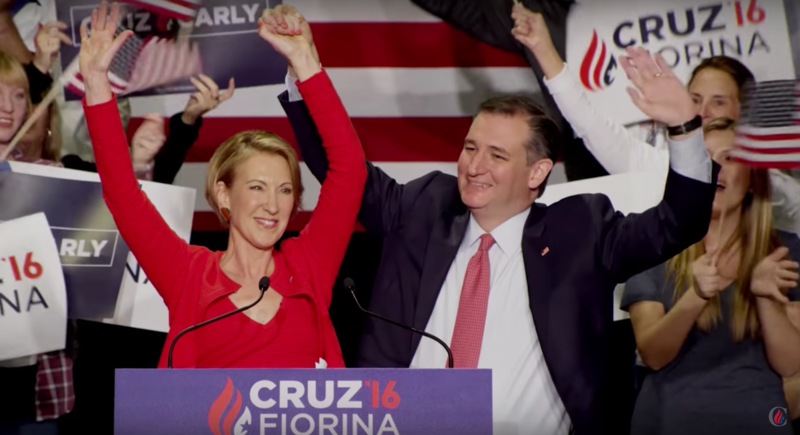 The Cruz campaign doesn't own CruzFiorina.com. Mackowiak does. "I just went to go see if the domain existed. Someone owned it, but it was essentially someone who is a broker," Mackowiak said. "And he said, make me an offer. And so I did, and he said no. And I made him another offer, and he said yes. I was amazed." "I don't intend to do anything nefarious with this. There is someone who owns TedCruz.com that has done something nefarious with it and has refused to sell the site to Cruz's campaign," Mackowiak explained. "And that's why his campaign web address is TedCruz.org." “I remember last year, about January, I read an article, something about RomneyRyan.com sold for like $8,800," Grambergs said. Jeremy Pegg is also a political cybersquatter and a D.C.-based lawyer. 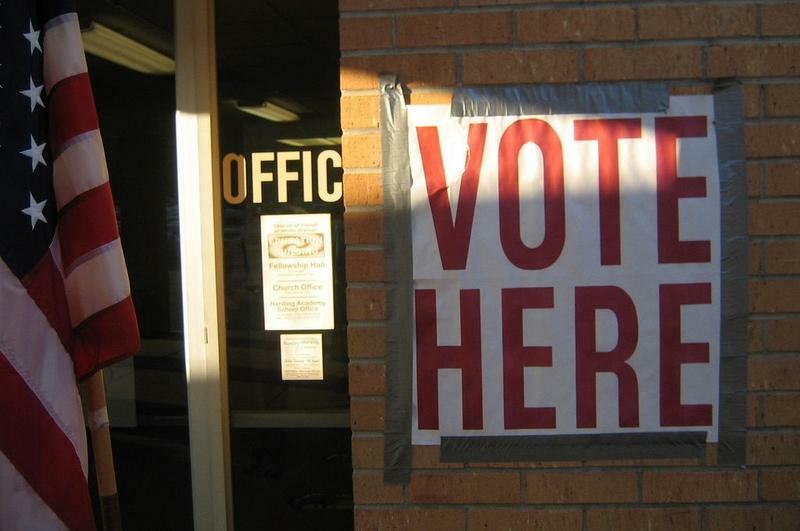 He purchased about 170 domains for the 2016 elections. And he’s had a little luck selling some back. He sold Cruz2016.com for $1,500. But the rest are still up for grabs. But he doesn’t have the combination that many political pundits have started to mention as a top ticket for the Democrats: ClintonCastro.com. That domain name is owned by Jonathan Walczak. He snatched it up a long time ago. While all that makes sense, and the same things are now being said by pundits across the country, not everyone thinks ClintonCastro.com was a good investment. Especially Pegg, who says Castro is easy to tear down as a VP candidate because San Antonio has a weak mayor system. So Castro didn’t really do much. But maybe there’s another reason Pegg is eager to tear down Castro. “That guy wouldn’t sell his domain to me,” Pegg said. He's not asking much, just enough to pay off his college loans. Pegg couldn’t pay Walczak’s asking price, which is listed quite publicly on ClintonCastro.com. There you’ll find a picture of his more recent college loan statement. 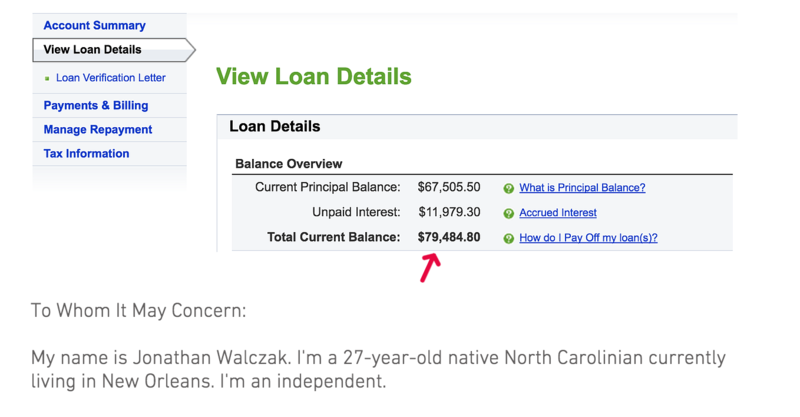 With a big red arrow pointing to his remaining balance: $79,484.80. Maybe Walczak will strike it big, or maybe he’ll end up sitting on a site that nobody wants to buy. This late in the campaign any domain not starting with Clinton, Sanders, Trump or Cruz…is worth nothing. So what about all those Clinton sites Jeremy Pegg bought? Even if he gets lucky on one, there will be several more left worthless. “With the Hillary domains, with the Clinton domains, I’m going to turn them into Harry Potter relation-shipping fan fiction. And that’s going to be….really fun," Pegg said. Like the 2016 campaign hasn’t been weird enough. pretty soon you’ll be able to go to ClintonOmalley.com and read about how Hermione Granger and Draco Malfoy had a brief tryst before she final married Ron Weasley. Oh come on....couldn’t you see that happening?